CHERRY HILL, NJ — Corcentric, a fast-growing provider of procurement and financial process automation solutions, is hosting “Payment Automation: Building a Plan for Accelerated Business Growth in 2019” on Thursday, January 24, in response to a growing demand across business industries for a way to scale and grow in a changing market. Presented by noted analyst and speaker Mark Brousseau, the one-hour webinar is open for free registration and will outline 5 steps for a successful payments automation plan. Brousseau will discuss various ways that P2P will deliver value to the entire enterprise. The IOFM survey revealed that 52 percent of P2P departments surveyed expect to capture more early-payment discounts as a percentage of total spend this year. Attendees will learn the key steps to applying payables automation to immediately capture savings. 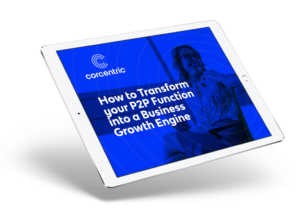 Registration is free by visiting https://www.corcentric.com/resources/payment-automation-building-a-plan-for-accelerated-business-growth/. The webinar airs Thursday, January 24, at 2 PM ET/11 AM PT.